After bringing you what was the biggest day party ever Trapstock, Cream has returned to bring what will be one of the biggest annual events that has ever come to the state of Delaware! BYDAWAY Bash A vibe, a celebration, a shift in the culture! Featuring Grammy award winning, #1 billboard charting, Cardi B! With an expected sold out turn out BYDAWAY bash needed a venue to call home! A venue just as fresh, and as elevated as the experience we plan to bring the city of Wilmington, DE! 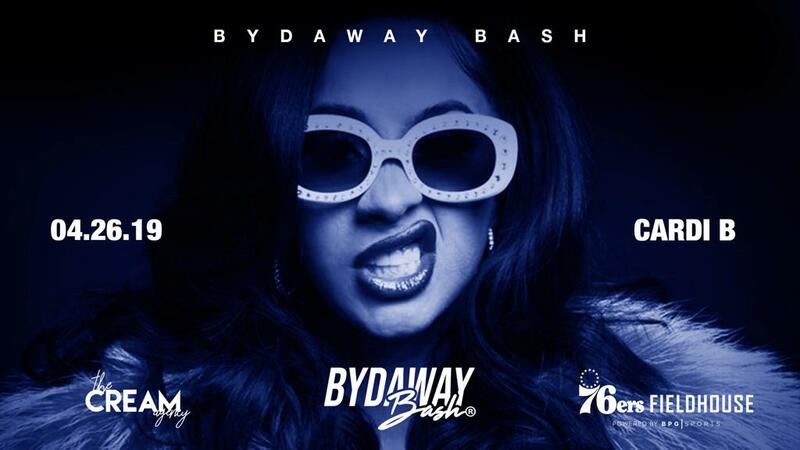 The 76ers fieldhouse could not have opened at a more perfect time, home to the Delaware Blue Coats and practice arena to the Philadelphia 76ers, the fieldhouse was our only option and the location for the annual BYDAWAY bash 2019!